Powerful local storage for recording archives with a lot of other advanced features. NetRex Box is our advanced and preset local network storage with advanced functionality, which enables you to effectively store records at the best possible quality. Do not let anything escape you. The sophisticated and smart NetRex Box Recorder is designed to complement your NetRex platform. 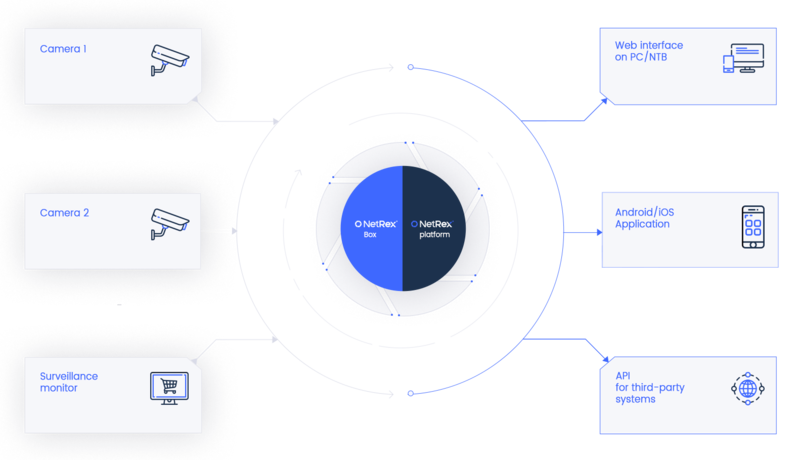 The combination of high-quality local logging and recording on the NetRex platform at lower resolution is the optimal solution for ensuring the integrity of video and audio data. Remote uploading is useful as a backup during the theft or destruction of the NetRex Box, and local logging, on the contrary, ensures data even when the Internet crashes. Rely on a powerful recording device! For the NetRex Box just plug in the Ethernet cable into the same network as the camera and turn it on. You do not even need a public IP address. Forget a complex configuration, it’s easy and fast. 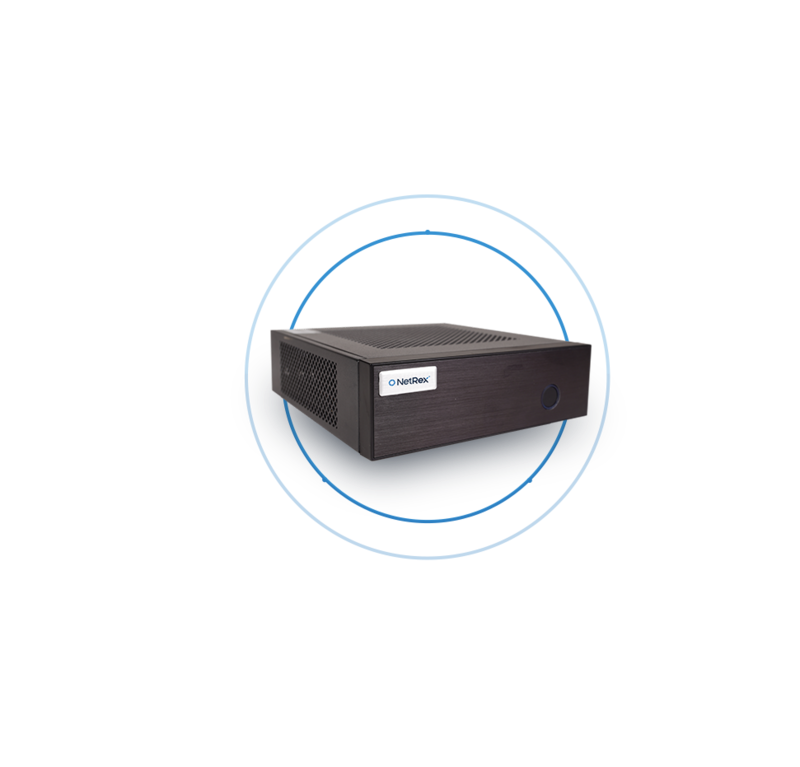 The NetRex Box’s local network video recorders have a storage capacity of 1TB in a desktop version up to 24TB in rack design. Select the size of storage according to your needs and requirements! The great advantage of NetRex Box is its size. The desktop version with dimensions of 197 mm (W) × 63 mm (H) × 220 mm (h) can fit comfortably on a desk, wall, or in the background of your office or shop. Server version with 1U height saves space, too. Compact for all areas! NetRex Box has a powerful quad-core Intel® processor that can handle up to 64 cameras with 64-bit architecture and a refined operating system. Make the most of the NetRex Box performance and do not let anything restrict you. NetRex Box’s biggest advantages include low power consumption. 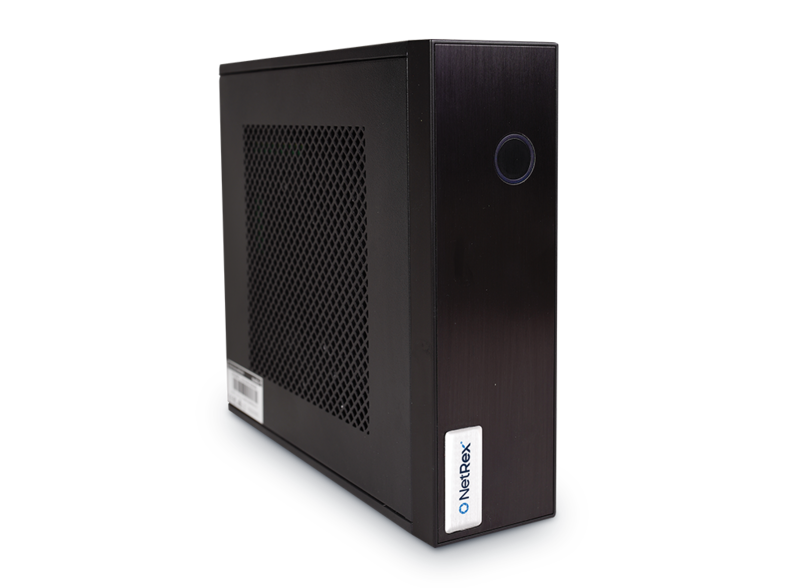 This reduces your operating costs, which in a single year can fall by as much as CZK 3,000 compared to a conventional PC. Think economically but also ecologically. NetRex Box saves money and nature! Come into this with us. NetRex Box automatically convert saved recordings to optimal resolution for a device or data network. With new quick playback capabilities, viewing records is more comfortable than ever before. Don’t wait, NetRex Box can handle it quickly. The NetRex Box can also work as a surveillance station. You can connect it to a monitor or large TV and monitor up to 4 live cameras. Ideal for smaller outlets or shops. If you want to monitor more than 4 cameras, our NetRex Surveillance Station is suitable for you, as well as a video wall with up to 64 cameras at a time. Want more! Leave constant checking up to us. The NetRex Box communicates with the central platform and immediately alerts you to any issues. Any deficiencies and problems will be reported to you by e-mail or a Push notification. You do not have to worry that something not working without your knowledge. All recordings are as safe as possible. In addition to local storage, recordings are stored on backed NetRex servers so they are always available for your needs. Security is a priority for us. Rely on us! The central NetRex platform provides a remote NetRex Box upgrade that can be located anywhere. Keep your local storages up to date with the latest software!